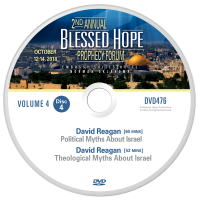 View cart “Blessed Hope Prophecy Forum 2017 DVDs – Volume 1 – 15 Messages” has been added to your cart. 2018 2nd Annual Blessed Hope Prophecy Forum – Volume 2 Disc 5 – Bill Salus and Dr. Ken Johnson – FREE SHIPPING in the USA! 2018 2nd Annual Blessed Hope Prophecy Forum – Volume 2 Disc 1 – Dr. Danny Ben Gigi and Jan Markell – FREE SHIPPING in the USA!